The words ‘spelling’ and ‘grammar’ are unlikely to bring excitement and happiness to students, or indeed to adults. Without correct spelling and grammar, however, written text often fails to create the effects intended by the writer. 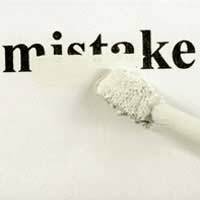 Mistakes can render a piece of writing incoherent and confuse the transfer of argument or information. The checking and correction of spelling and grammar should not be a simple afterthought. Instead, it should be considered an integral aspect of the writing process. With a little planning, students can minimise their spelling and grammar mistakes and ensure the success of their written work. Most students have a collection of words that they routinely spell incorrectly. Keeping a diary of spelling mistakes can help them to identify their ‘problem words’ swiftly and efficiently. As the age old saying goes, practice makes perfect, so writing out these words twenty or thirty times will always be beneficial. Some might find it helpful to ask friends and family to test them in conversation. Keeping a list of such words close by when writing will also keep students on their toes. Many also struggle with one or two aspects of punctuation, such as how and when to use a comma. Others might have trouble with an element of grammar, such as keeping tenses consistent. If in doubt, students should approach their teacher for a thorough explanation and perhaps request a series of helpful exercises. When seeking to minimise spelling and grammar mistakes, it is important to pay close attention when writing. Whilst the subject matter and argument of the sentence is key, spelling and grammar should not be neglected. Students should spell more difficult words out to themselves whilst writing, breaking each word into more manageable chunks and consciously considering the order in which the letters fall. In terms of grammar, students should think carefully about the way in which they are constructing a given sentence. The tense or tenses, nouns, pronouns, verbs, adverbs and adjectives should all be taken into view. When thinking self-consciously about the building of sentences, grammar mistakes are likely to be fewer. Whilst careful attention should be paid to spelling, grammar and punctuation whilst writing, thorough proofreading is also a must. There can be a temptation to skim read work but this should be resisted at all cost. Each sentence should be read and checked individually. Some students find it useful to read their work through from end to start, sentence by sentence. Taking each sentence out of context in this way can help to highlight spelling or punctuation errors. Reading work aloud can prove particularly helpful when checking grammar and punctuation. If a sentence sounds slightly odd, the word order, tense or pronouns may need amending. If the student gasps for breath as they read, sentences may be too long or more punctuation may be required to break up the piece. Practicing spellings, thinking carefully about sentence construction and proofreading work all take time. The reward, though, is always worth it. A clear, confident, polished written style will ensure that the student’s ideas, knowledge and understanding shine through their work.